Just because the summer is coming to an end doesn’t mean you can’t still enjoy the great outdoors. Spanning 165 miles, a bike ride along the Delaware and Lehigh Valley National Heritage Trail could easily become much more than just a day trip. But if you’re looking for a chance to enjoy the great outdoors this summer or early fall while getting a glimpse of our nation’s history, this is the path to take. The Heritage Trail stretches from historic Bristol Borough on the Delaware River to Wilkes-Barre. There’s an online map and guide to plan a route and find attractions near the portion of the trail you want to visit. Just a few highlights include Pennsbury Manor, the country home of William Penn, in Lower Bucks County; the Lehigh Gap Nature Center, a wildlife conservation north of Allentown; and the Francis E. Walter Dam near White Haven, ideal for picnicking, hiking and more. This Upper Bucks County destination features two unique attractions: Pennsylvania’s biggest waterfall, and the curious rocks themselves. 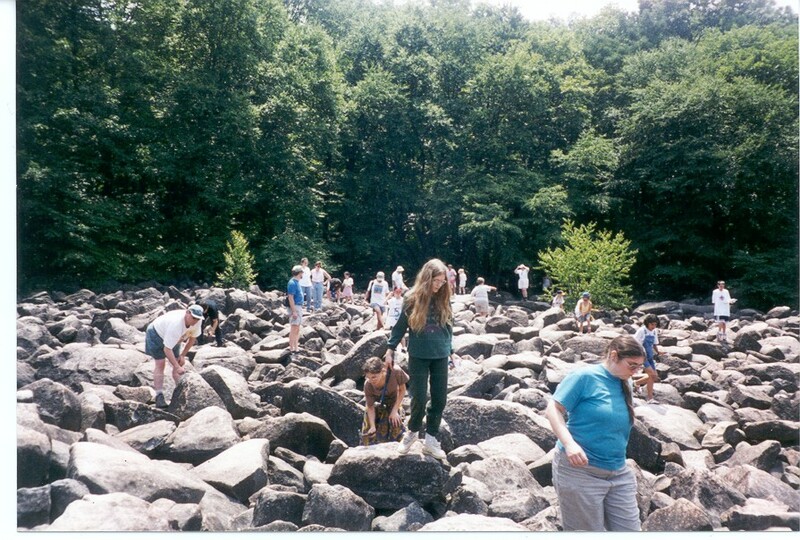 Located within the 120-acre forest is a field of rocks that are piled 10 feet high. They have high aluminum and iron content and — for reasons still unknown — about a third of them will ring distinctly when struck by sticks, spoons, hammers or even railroad spikes. Since their discovery in 1860, the field has been a popular destination for people who just want to hear it for themselves, to musicians who have held informal sessions and even orchestrated “rock” concerts using the various rocks’ distinct tones. There are also hiking and picnicking spots in the park, as well as the nearby small town of Upper Black Eddy, which features a few fine restaurants and an old-fashioned general store. If you thought the 64-crayon box with the sharpener on the back was big, you haven’t been to the Crayola Experience in Easton yet. This colorful — literally! —- four-story installation in Easton offers children more than two dozen ways to express their creativity and use their imagination. At the Art Alive! area, for instance, kids can create digital works of art and bring them to life on large projected surfaces, or create glowing pictures in the Doodle in the Dark room, which also features an interactive floor. And, the entire fourth floor is dedicated to melted wax: visitors can paint, create spin art and more to make their own wax keepsake. And, for those curious about where the crayons come from in the first place, there’s a tour that shows visitors how crayons are made. 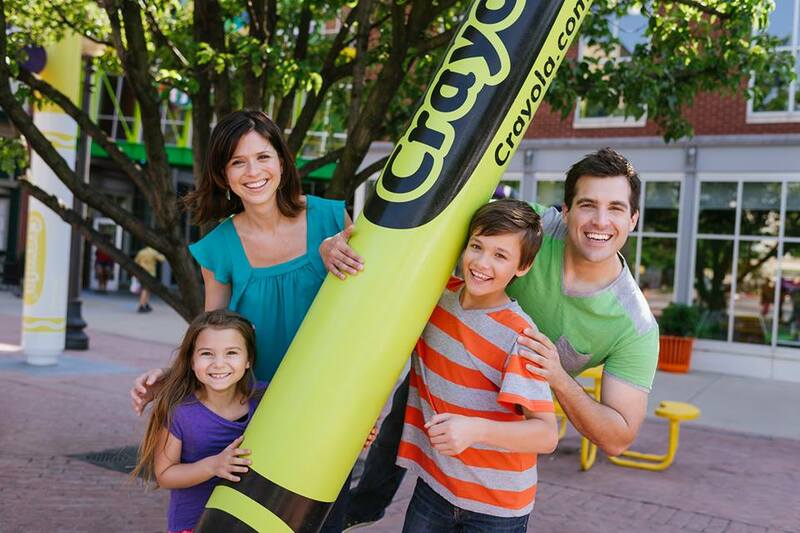 For information, visit www.crayolaexperience.com/easton. EMCL readers can enjoy discounted admission by visiting tickets.crayolaexperience.com and using the store code “SAVE” to order tickets. Enjoy a journey into the past aboard a vintage locomotive. 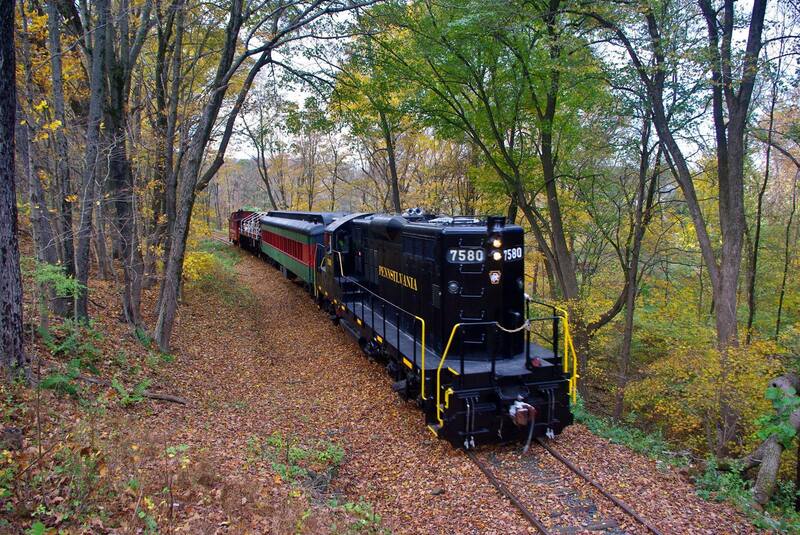 The Colebrookdale Railroad offers a trip into the “Secret Valley,” a heavily wooded area around the Manatawny and Ironstone creeks near Pottstown and Boyertown. The tours are centered around an 8.6-mile stretch of rail that was completed just after the Civil War. And accordingly, the tour through the Schuylkill Valley offers a glimpse of the technological advances and industries of the late 19th century. Visitors will see sites such as the first blast furnace and refinery forge, and the first iron works in Pennsylvania. The rides also connect to other attractions and events in the area, like haunted ghost walks and Boyertown Fun Days. The fall season is packed with themed rides, including a bonfire train. It’s an evening trip from the Boyertown Railroad Yard where there are snacks, a crackling fire and a costume contest for kids.